Four nights and three days led me on an unforgettable journey within one of Peru’s most marvelous trails. The Inca Trail was once a route of pilgrimage to Machu Picchu used by the Inca (or Emperor in Quechua) before the Spanish conquered Peru. 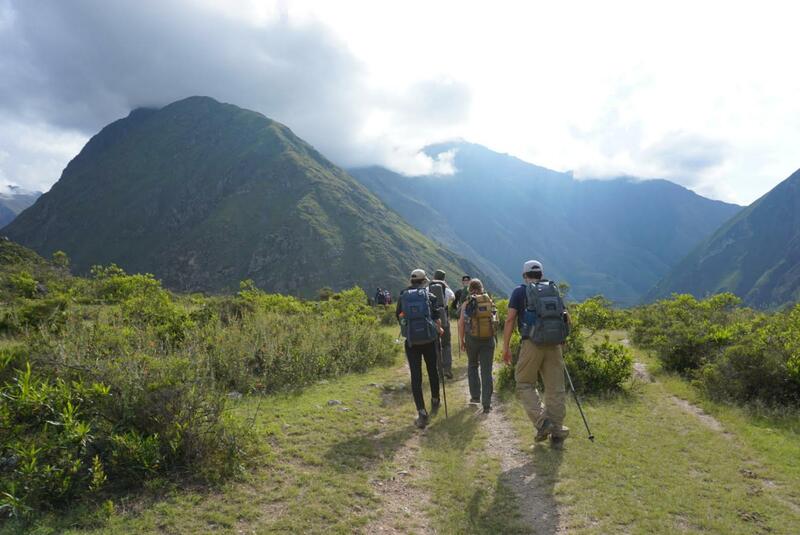 Today, the twenty-six-mile trek is considered by many one of the most famous South American trails with more than a million visitors annually. Walking it, however, is another story. I decided I might as well try the strange leaves. It basically tasted as if somebody took the contents of a tea bag and poured it in my mouth. I was later told that these leaves helped with the altitude. Recently I found that coca leaves are used to make cocaine and they are illegal in the US. So yes, I did consume unsynthesized cocaine but there were obviously no harmful side effects. I’m still processing this in my mind but I guess it’s all just part of the Peruvian experience. Apart from the coca leaves, the food we received at Peru was amazing. From delicious quinoa soups to roasted llamas and guinea pigs, the Peruvian diet is rich in diversity. During our grand hike, my family and the rest of our tour group had a ‘chef’ that followed us to the campsites. Every day, the chef, along with other backpackers who helped carry the weight, set up a table for all of us and made amazing food with respect to the limited resources and setting. My family still has no idea how the chef was able to create three filling courses (daily) to a bunch of starving tourists and backpackers at thousands of feet in altitude, but we appreciate the effort. I basically learned two things on trail for the sake of future experiences: always put a lot of sunscreen on and do what you can to sleep well every night. My naive self-managed to commit both errors which basically left me mentally and physically exhausted every day. At the very start of our journey, where there was a grand bridge with donkeys and farmers everywhere, I decided I didn’t need to put sunscreen on. This tremendously unintelligent decision left me with a bright red neck and deep eye sockets for the entirety of the four days I spent on trail. Despite the negatives, at some level, this has also been a very spiritual and soul-searching experience. Our hippie tour guide along with the absence of cell phones left me at a state of relief at some level. Every worry I had in the United States was virtually left behind, including homework, drama, and tests. When you walk for hours, you begin to ponder about so many things that you don’t have time to stress. Sleeping under the stars and having the peace of the wilderness has been something I will never forget. Now I will bluntly be honest about the trail itself: its hard. The second day has particularly managed to strain me at both mental and physical extremes as my brother and I climbed (what felt like) millions of stairs thousands of feet above sea level. Even as a cross country and track runner, I felt as though I have never hiked in my life. However, an important side note includes the fact that all my training has been relatively close to sea level; when your thousands of feet up in the air, it’s hard to breathe and brutal to hike. To conclude, the history, the food and the peace associated with the Inca Trail has come to take an important place in my memories. Yes, I passed out when we finally got back to the hotel and was grateful to use a real bathroom. However, I will deeply miss the curious nature of that sacred path and I want to return back one day.